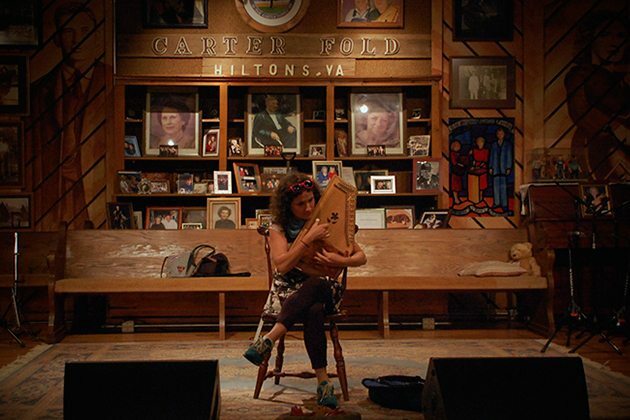 Leah Dolgoy on the stage of the Carter Fold. 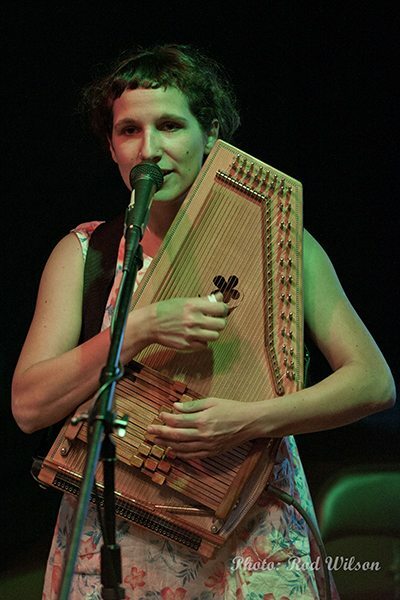 This May, the sweet-stringed sounds of Leah Dolgoy’s autoharp will once again fill the Folk School campus with joy and magic. She returns to Brasstown to teach a music class focusing on the legacy of the Carter Family for continuing autoharpists. 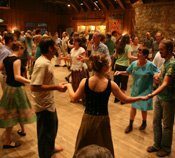 Leah is a two-term student host at the Folk School, she considers Appalachian old-time music to be her true love, and Brasstown a second home. 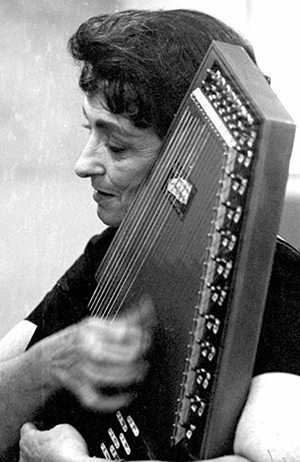 CP: When did you first hear the autoharp and what drew you to it? LD: I first heard the autoharp when a Canadian singer songwriter named Basia Bulat played it. I was actually at home with a fever, recovering from mononucleosis, and listening to a live broadcast of Basia’s concert on the CBC. I was immediately drawn to the instrument because of its unique sound. I remember listening intently and trying to figure out what it was that she was playing. I was totally mesmerized. CP: Is the autoharp mostly a solo instrument or do you like to play with other people? LD: The autoharp can be either a solo instrument used to accompany yourself singing, or it works beautifully in an ensemble or a jam. I play it both ways but I certainly have a preference for playing with others. 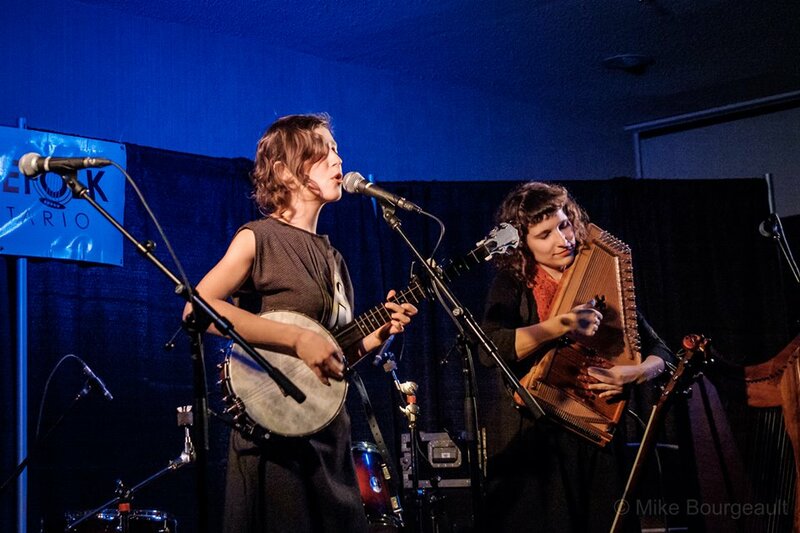 CP: You play autoharp in some indie folk bands, Corinna Rose and Heirloom. 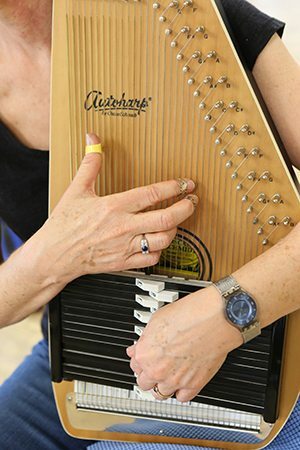 How do fans and show-goers respond to the autoharp? LD: The autoharp is quite a rarity in the Canadian folk scene and so I end up doing a lot of population education and public service announcements about the instrument (which I love). I often tell people at shows that they are welcome to come up and try it and ask questions after our set. I keep a set of guest picks in my case and show people the basics. It is very satisfying to watch peoples’ faces light up when they realize how simple it is to get a beautiful sound out of the instrument. Of course to play it skillfully takes some time and practice but I know of no other instrument where you can make this kind of instant connection. When you play something like the autoharp which is not very common, you can have a little fun with its mysterious qualities. I often see people in the audience looking at me in a puzzled way and wondering how the instrument works. My band has a weekly gig in Montreal at a sweet little pub. As a very popular segment of our set each week, the bartender gets up and gives an “autoharp lesson” where he takes questions from the audience and makes up all sorts of hilarious erroneous answers about the instrument. E.g. he’ll say the autoharp only has one string that when stretched is the same distance as the route of the Appalachian Trail or that it was invented by punk rockers in the 1970s punk scene in Denver, Colorado. CP: Autoharp first brought you to the Folk School. 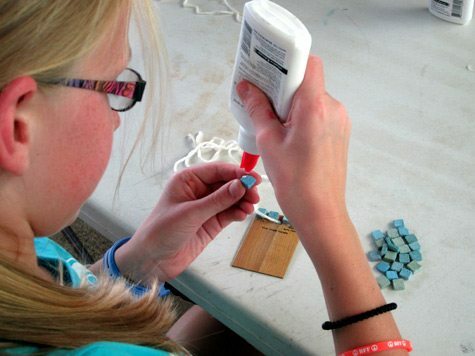 Can you talk about that and how your relationship with the Folk School has evolved over the years? LD: I first came to the Folk School for an autoharp class in January 2010. 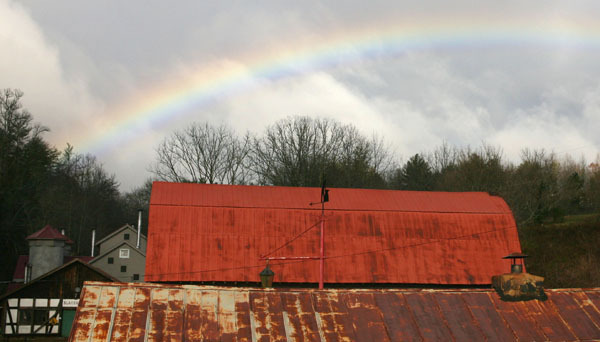 In the last 6 years, I have spent about a cumulative year at the Folk School, and the school has had a profound affect on my life and musical career. Brasstown feels like a second home, and every time I come back I feel more and more connected to it. I am absolutely delighted to have the opportunity to teach my first Folk School class this coming spring. CP: Why did you pick the legacy of the Carter Family to be a focus of your class? LD: I named my first autoharp June (after June Carter, of course). The Carter family is so important to the autoharp, that it is most peoples’ best reference for the instrument. The autoharp: as in “Maybelle Carter” or as in “the instrument that Johnny Cash’s wife June played.” The autoharp is the Carter Family for most people. Every time he opens his mouth, he tells a great big lie. He rides all over the country and makes the people die. I took my girl to church last night, what do you think she done? Finally, I also think that there has been an emphasis (thanks to incredible players like Karen Mueller, and the wonders of YouTube videos) on learning to pick out complicated fast fiddle tune melodies on the autoharp. I absolutely love playing fast fiddle tunes. However, I am excited to go back to basics and the roots of the instrument and spend a week focused on songs and building musicianship, really getting into the artistry that is the simplicity of the instrument. CP: Have you ever been to the Carter Family Fold? What was that like? LD: I visited the Carter Family Fold in 2014. 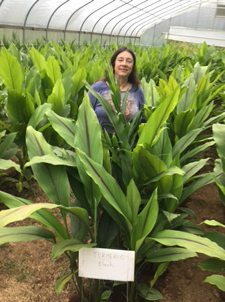 It was like a pilgrimage for me: totally thrilling. My band also had a little opening slot booked there for a Saturday night concert last year. It was unfortunately cancelled due to weather, but I look forward to getting back there, and highly recommend it. CP: Who should take your class? What sort of experience should you have with the autoharp? LD: The class is listed as Level 2/3 meaning it is aimed at Continuing/Intermediate players. I think the course material lends itself to welcoming students with a broad range of levels. About a month before the course begins I will send out a survey to the students asking more about their experience and what they are excited about working on. This way, I can tailor the class to their goals. 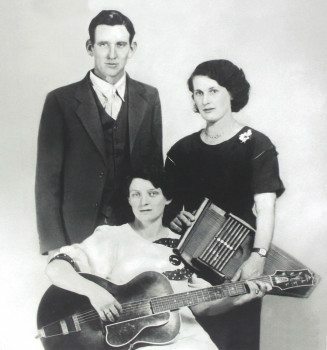 We will be using the Carter Family repertoire to work on different techniques and skills. We are also going to take little breaks to listen to field recordings, watch archival video footage, and maybe peruse Mother Maybelle’s cookbook. 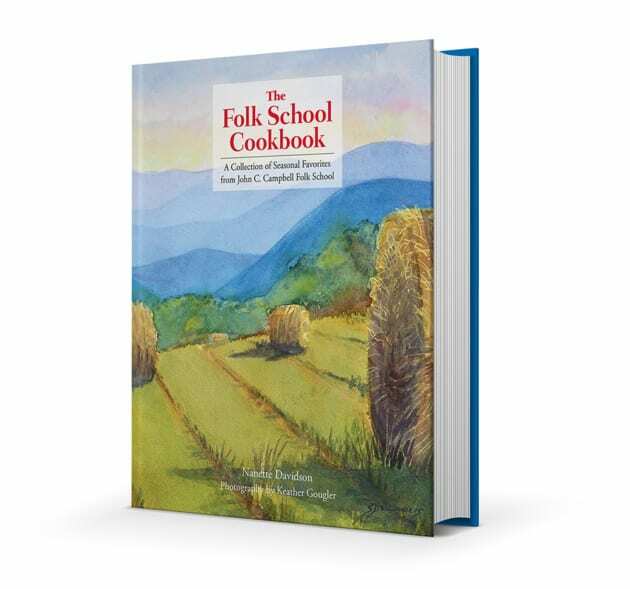 I might try to whip up some of Maybelle’s recipe for corn bread to bring to class. There will be time set aside for short private lessons, and lots of time for exploring the instrument. For example, if people want to learn how to change strings, and cut new chord bars, we can do that. It’s going to be fun. 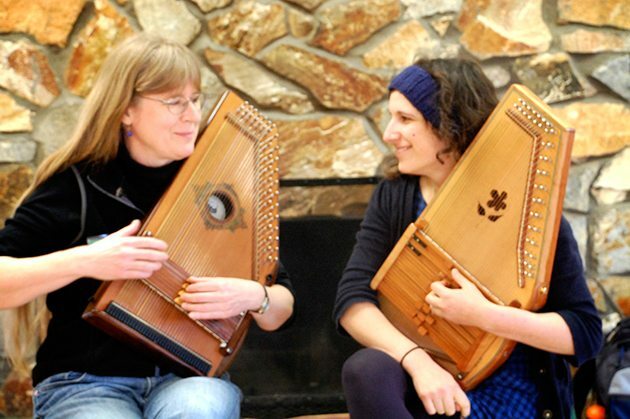 CP: Do you have any advice for aspiring autoharp players? LD: Keep your autoharp out in plain sight. Don’t store it away in a closet or under your bed. You are more likely to play it if you can see it. Play songs you love. Music should be joyful. Find a friend who plays another instrument and get together with them regularly to play. The autoharp has a great range of tone and texture. Explore how it fits with a guitar, a banjo or a flute and what you can learn from others.